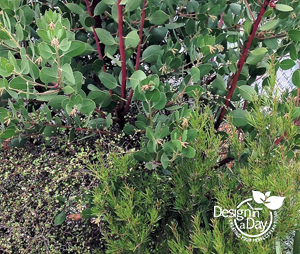 A few more thoughts on choosing blueberry plants. Last time we discussed some basics for choosing blueberries. I give you a larger selection to consider and continue to encourage the purchase of big plants. Here’s a list of blueberries we know will do well in Northwest Oregon and Southwest Washington State—and tickle your taste buds. The listings summarize variety name, maximum height, harvest time and fall color. Think—and order—ahead. For example, ‘Sierra’ and ‘Liberty’ are still hard to find and might need to be ordered. 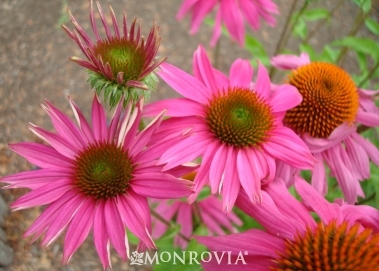 Contact your favorite nursery in January to inquire about the varieties you want, so they have time to respond or include your request in their orders. 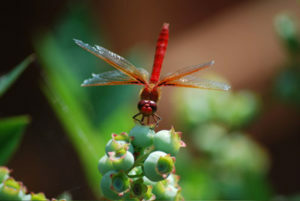 Portland Nursery, Farmington Gardens or Cornell Farms will be glad to work with you. Mail order. One Green World If you have fallen in love with the flavor of a particular variety of blueberry, be prepared to wait 5 years for a big crop since mail order typically means a small plant. Buy the biggest plants you can afford. One-gallon plants take too long to yield a decent crop, so splurge if you can and buy bigger plants. 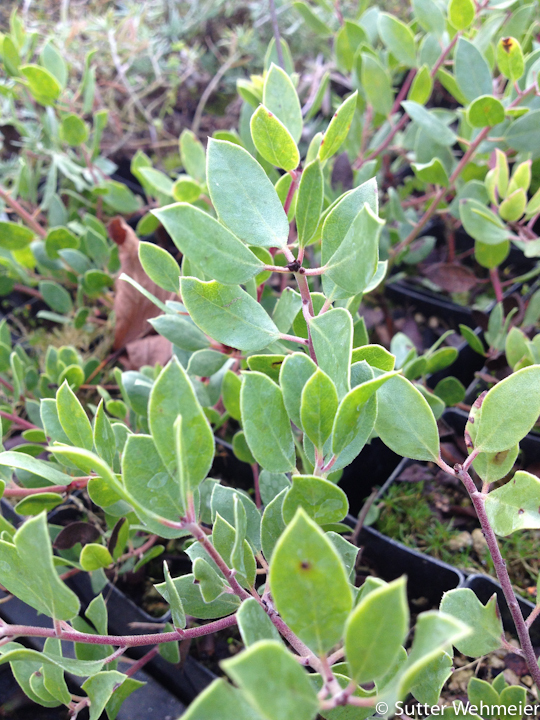 I talked with Jim at Portland Nursery about getting big blueberry plants. 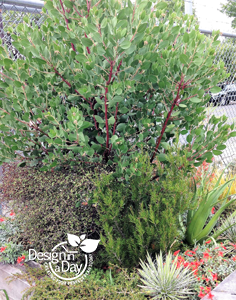 They get regular shipments of 5-gallon sized plants throughout the year. Clients wish they had bought bigger plants. 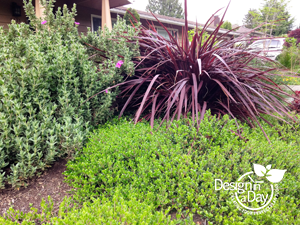 My clients, Jim and Jodi, just bought a home and I completed our second Landscape Design in a Day. Six years ago (at their old house) they bought and planted 1-gallon blueberry plants. Although their then puppy contributed to the stunted growth, by chewing on the canes and peeing on them, he shouldn’t take all the blame. They moved just before they got a great crop. This time they are going to buy big blueberry plants to start with. Remember we are buying time when we buy a bigger plant. 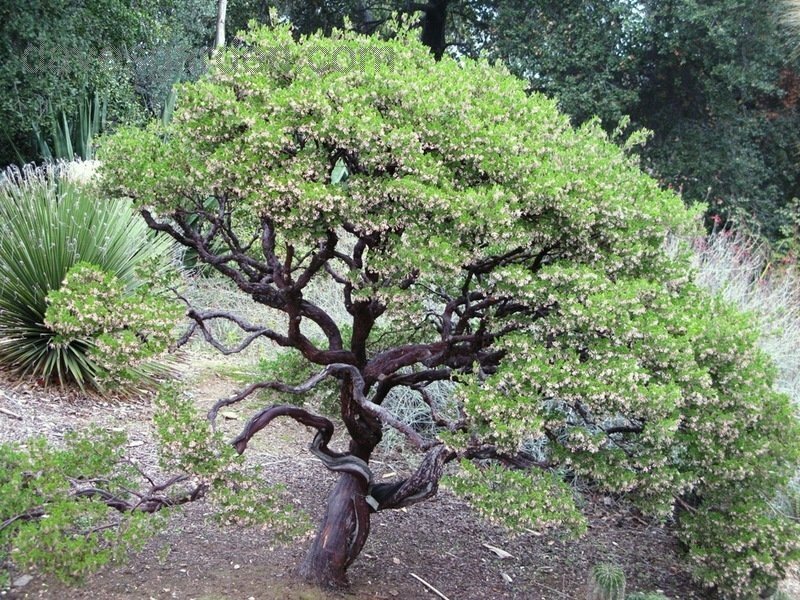 Learn basic pruning. Pruning is an important part of being happy with your blueberries (and vice versa). It’s easy, and proper pruning will increase your yield dramatically. There are many good sources for learning the tricks. However, there is no substitute for having someone show you how, putting the pruners in your hands and having you do the pruning. That’s the best way because it sticks in both your mind and muscle-memory. Yes, getting those berries into your cereal bowl requires time, patience and a bit of training. But, conjure up the fragrance or flavor of a memorable blueberry encounter, and you’ll agree that the effort is worth it. 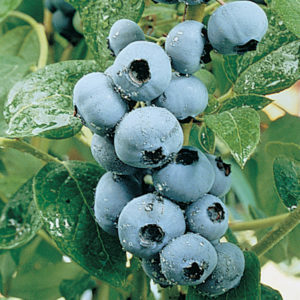 After all, growing blueberries is easy compared to many other fruit plants. Next time we will look at some of the newest varieties of blueberry. 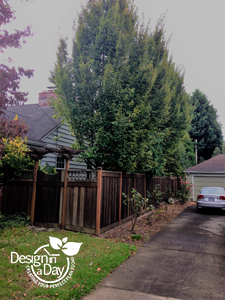 If you are ready to design your Portland garden, contact me to set up an appointment.